In a macho, Power Thirst-inspired market, it's difficult to sell a game with a female protagonist, Epic Games art director Chris Perna tells OXM. "If you look at what sells, it's tough to justify something like that," Perna says. 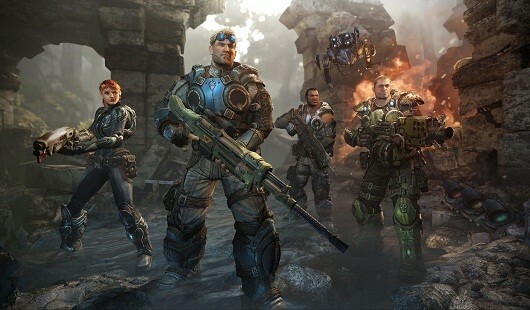 Epic's Gears of War series features supporting female characters that Perna describes as "butch," rather than a stereotypical portrayal of feminine beauty in an action game. "You see the implants and the blonde hair and pants and you roll your eyes – it's almost like the game geek's idealization of what a woman should be. I think because we didn't go that route we have more believability." Perna continues, "They're still feminine. Anya in Gears 3 comes across as being very feminine, and I think it works." Perna says player feedback supports his theory, in the form of female players dressing up as Gears of War characters at conventions and shows. "They feel empowered," he says. "They put on that armor and they walk around with these massive weapons and I think they get a kick out of it – I get a kick out of seeing it. From what we've heard, when they play the game they feel empowered and they feel good. Some of the feedback I've heard from women that I talk to is that if we'd made these women more feminine and more stereotypical it wouldn't have been so nice."